Ace Hardware: Buy 1, Get 1 FREE Gallon Paint! You are here: Home / Great Deals / Ace Hardware: Buy 1, Get 1 FREE Gallon Paint! Have a paint project on your list this summer? 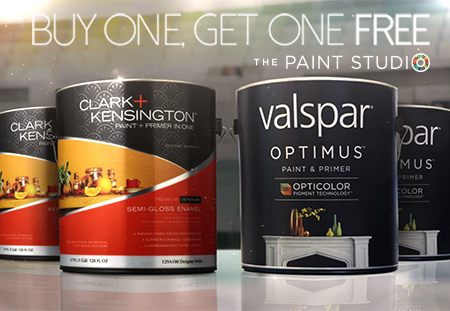 Head over to your local Ace Hardware and get Buy 1, Get 1 FREE Clark + Kensington and Valspar Optimus gallon paint! I’m totally excited about this because I have a couple projects in mind. Limit two free gallons per household. Free gallons must be at equal or lesser value. Offer valid at participating stores Saturday, May 17 and Sunday, May 18, only. See store for details.